Legacy maps are coming next month. Gears of War 4 isn’t even a month old, but that isn’t stopping The Coalition from kicking off a Halloween-themed event and announcing the upcoming release of several legacy maps. According to an announcement post on the official Gears of War website, the Halloween event includes a new “Pumpkin Ball” variant of the game’s standard Dodgeball multiplayer mode which features more fast-paced matches thanks to its one-second respawn timer and lack of respawn protection. Those who participate in Pumpkin Ball will not only sport ghoulish pumpkin heads inspired by the game’s new Juvie enemies, they’ll also earn bonus XP rewards as well. Rounding out the Halloween event is a special Halloween Elite Pack which is available via the in-game shop. Each Halloween Elite Pack is guaranteed to contain at least one Epic or Legendary item card from the Day of the Dead Legendary Collection. Both the Pumpkin Ball playlist and Halloween Elite Pack will be available until November 1st. As for the legacy maps, there are two set to be added into the game next month: Checkout and Drydock. The maps will be free for all players but Season Pass owners will get first crack at them starting on November 1st. Those who don’t own Gears of War 4’s Season Pass will be able to access the new maps starting on November 8th. 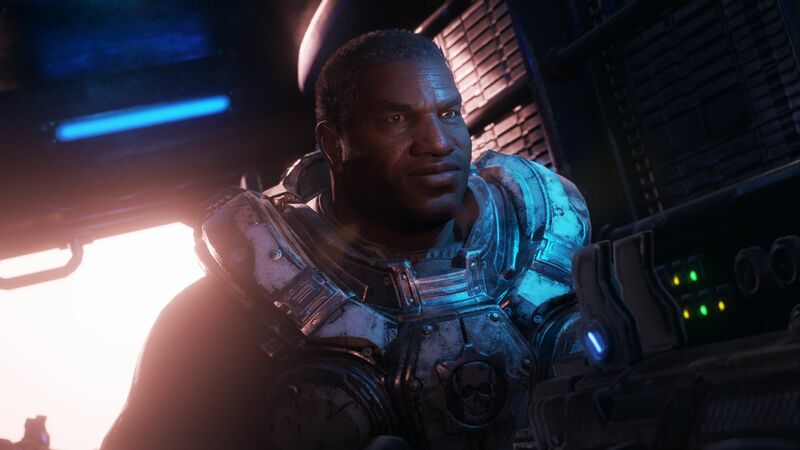 For more on Gears of War 4, be sure to check out our 60 second review as well as our coverage of how the game’s widespread hitching issue was fixed.